An epic film series spanning four decades, Star Wars is a rare piece of pop culture that bridges the generational gap. In the Star Wars universe, the Jedi are a noble order of protectors most commonly noted for their ability to tap into the power of the Force. For over a thousand generations, they served as guardians of peace and justice in the Galactic Republic. With universal themes of trust, teamwork, kindness and perseverance, the Star Wars franchise continues to captivate and connect audiences. The next time you are working within a diverse group of individuals and looking to bridge the gap, think back to this and identify the themes that resonate and link your group together. Read the 7 Lessons In Leadership From Star Wars: The Force Awakens for more leadership lessons. I’d like to thank you all for another wonderful semester and wish you the best of luck in closing your spring studies strong. 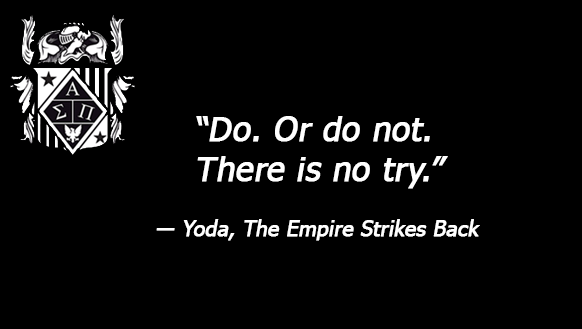 Continue reading below in the Monthly Motivation section to learn what the Jedi can teach you about leadership. Congratulations! Society members graduating this semester will soon find themselves taking their next first step. 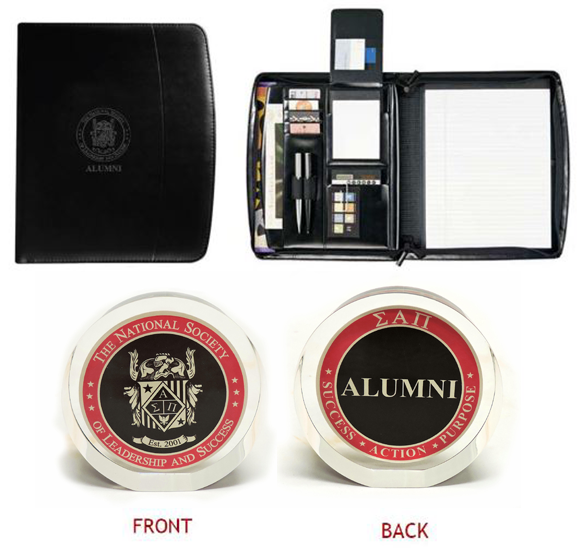 Whether that means moving into a first apartment, first office, or both, the Society's Alumni Recognition Package will keep alumni organized and motivated. Alumni Recognition Keepsake: Place this on your home or office desk to commemorate your present achievements while reminding you to continue setting SMART goals while on your path to future success. The Society Alumni Seal is encased in a 3” x 7/8” clear lucite round with a flat bottom. Embossed Alumni Padfolio: This impressive, durahyde padfolio offers a space for everyday work essentials and is perfect for interviews, travel or daily use. The Spring 2017 Scholarships and Awards recipients will be announced on Thursday, May 11th. Stay tuned to see all of Spring 2017’s winners featured in the June 2017 Newsletter. 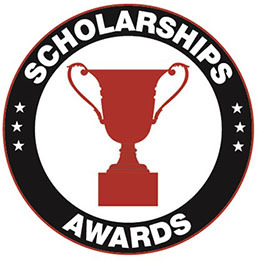 For a full list of our scholarships, awards and grants, click here. To see all of 2016's winners, click here. In partnership with Leadercast, Society members are eligible for an exclusive discount to continue developing their leadership skills through curated content provided by Leadercast. Click here and use the password nsls2017 to sample some of the content for free and subscribe with a special Society discount price of $49-- a 75% savings off the retail price of $199. 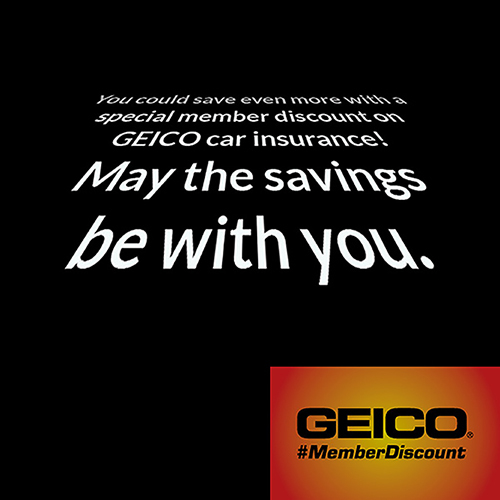 Our partners at GEICO can help you save this Spring! With your Society membership, you can save even more with a special member discount on auto insurance. Get a quote today! For the full list of partner discounts you receive as a Society member, please log into your Members Area by clicking here. 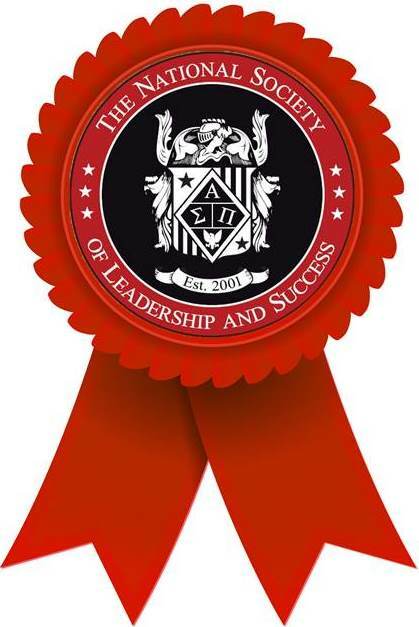 Congratulations to Rutgers University—Newark Society chapter Founder and President, Mussab Ali! 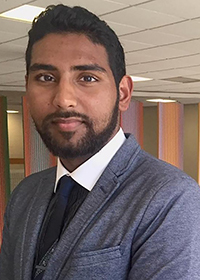 As Rutgers University–Newark’s first Truman Scholar and the 10th from Rutgers University overall, he is one of just 62 nationally, chosen from a field of over 768 candidates nominated by 315 colleges and universities this year based on their leadership potential, academic and communications skills, and dedication to public service. In its inaugural semester, the Society chapter at Xavier University of Louisiana has seen tremendous success thanks to Chapter Advisor Marian Minnard, who is the incredible driving force behind the chapter. 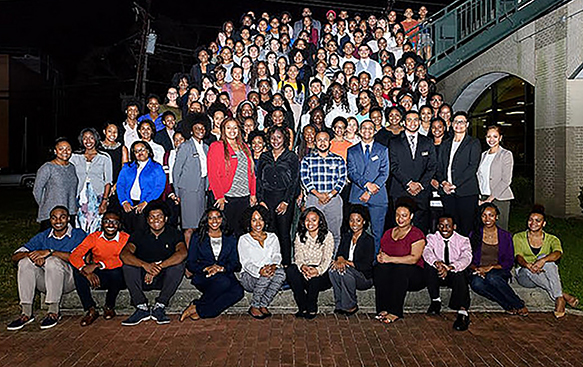 The Xavier University of Louisiana Society chapter achieved a 74% induction rate and honored the 148 newly inducted members at the chapter’s Spring 2017 Induction Ceremony held on Monday, April 3. Congrats to the Society chapter at Florida State University for winning the Vires Award at FSU's Leadership Awards Night on April 11th! 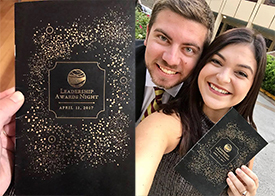 The National Society of Leadership and Success FSU Chapter was awarded for outstanding leadership and creating a lasting legacy in the FSU community. On Wednesday, April 19, the Society chapter at Mount Aloysius College held its Spring 2017 Induction Ceremony, recognizing 66 new inductees and six NELA recipients. 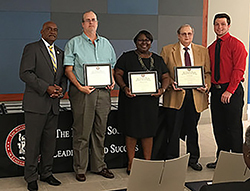 On Tuesday, April 11, the Society chapter at H. Councill Trenholm State Community College inducted 20 students at its Spring 2017 Induction Ceremony. In addition, 15 of those inducted received presidential status, and two students received the NELA. To view more images from these events, as well as recent activity from our Society chapters at University of Pittsburgh, Fisk University, Clarkson College, Central Michigan University, Coastal Carolina University, Ivy Tech Community College-Central Indiana, Ivy Tech Community College-Columbus, Lake Superior State University, San Antonio College, Tiffin University and Westmoreland County Community College, visit us on Flickr. 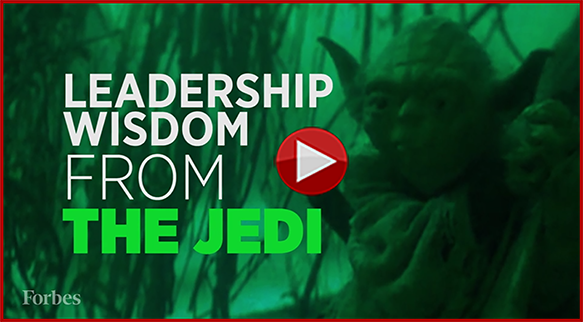 Click the video below to see what the Jedi can teach you about leadership.